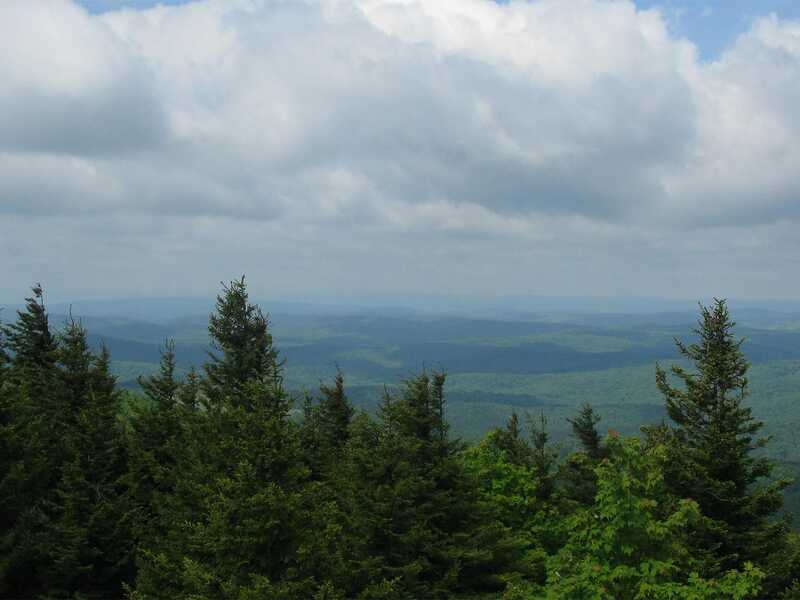 When I decided to visit the West Virginia state highpoint – Spruce Knob – in June 2012, I quickly realized that I had two options to stand atop the highest part of WV. 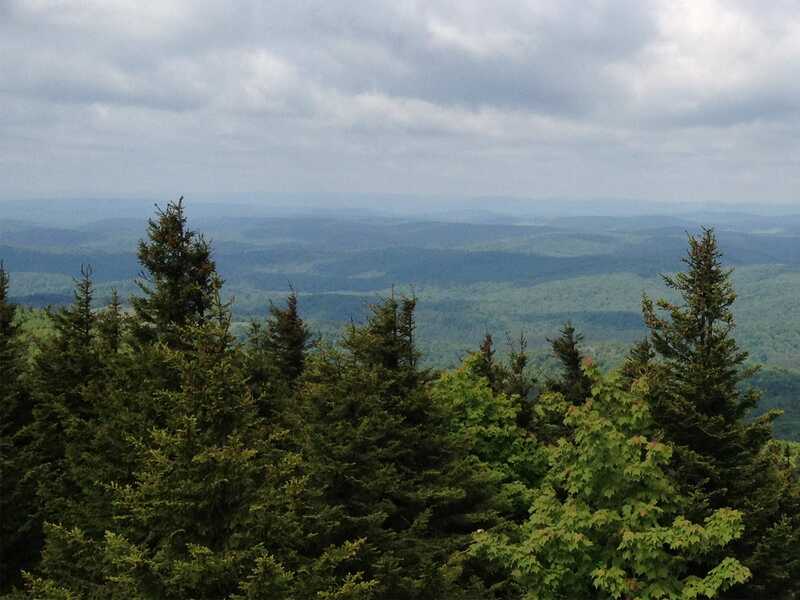 The first option was a true hike to the summit of Spruce Mountain, which would entail a minimum of 14 miles roundtrip and probably more. The second option was to drive to the top of Spruce Mountain on nicely maintained forest roads and then embark on a shorter hike descending from the summit and back up again. Time and family considerations made the choice clear: Hiking down from the summit was the way to go. At least this time around, it was the way to go. This way, I had more control over time and distance while still getting a crash course in the area. Thus, we ended up spending some time on the Huckleberry Trail. The trailhead is an easy stroll from the Spruce Knob highpoint, just head north to the secondary parking lot. This area is said to get an average of more than 13 feet of snow each year and the roads up to the summit are not maintained in the winter months, so spring and summer are best bets. We were here in June, so we got to see the best of what Huckleberry Trail has to offer. The forest is dense and diverse. 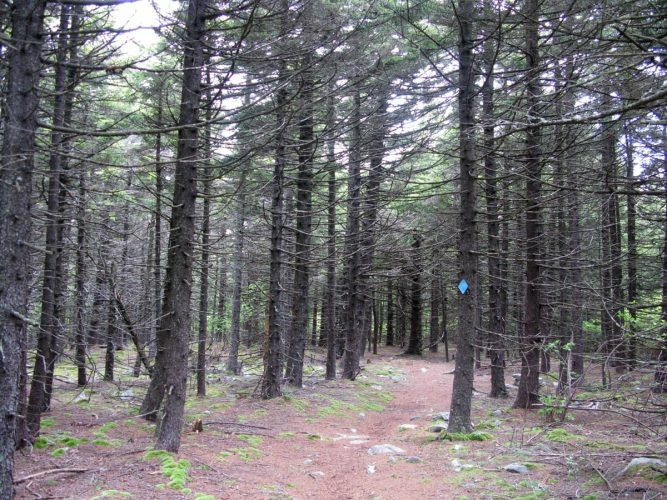 Trees near the top of the trail – near the summit of Spruce Mountain – are short, stunted from the high winds that plague the area for most of the year. The wind was said to be force to be reckoned with up here, and those tales proved true. The wind is persistent, coming and going in gusts of varying strength, as the narrow trail down from the summit winds through rocky terrain into open fields, dark forest and a few in-between areas. Plant life is diverse on Huckleberry Trail, with ferns and other delicate plants mixing with more sturdy, weather-worn bushes and trees. Roots and rocks large and small jut out of the ground on the majority of the trail, mixing with a soft bed of fallen pine needles to offer up a nice trail that can bring a few rolled ankles if you’re trying to sneak a view between trees tattered from windstorms past. As you head down to lower elevations on the trail, the alpine-like spruce and huckleberry surroundings will quickly change to more of a dense hardwood forest experience. This trail is truly one of two faces. A good turnaround point is the when the trail meets up with Lumberjack trail (#534) at about the 3.75 mile mark. I’ll definitely be back to explore Huckleberry Trail and connecting trails more in the coming years. Tip : The trail was not steep but was rocky which increased difficulty. Bring trekking poles. Tip : The high winds and varying terrain combined to create big temperature swings. Bring layers, regardless of the time of year. Follow Public Road 112 for about 7 miles, then turn right onto Public Road 104. 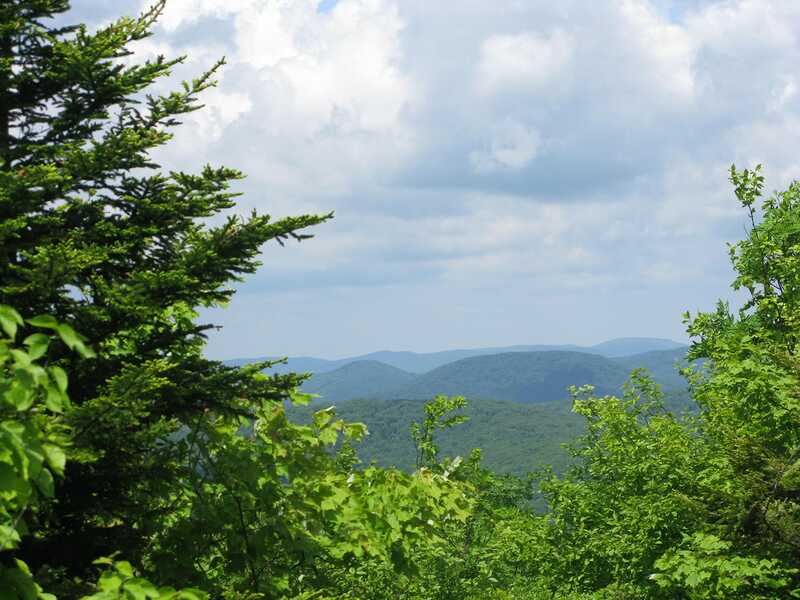 The Spruce Knob true highpoint is about quarter-mile walk to the south, but you want to the opposite direction – to the north – to the trailhead for Huckleberry Trail (#533). There is a separate parking lot near the trailhead.